RHR TV is here for video's sent in from all over the world. Contact us before filming or sending in your video's. We cover all countries and show local news, comedy, music, sport, strange and weird, record breaking and much more. Vice Presidents: John Evans, UK. Peter Dowdeswell,UK. Halim Sugiarto, Indonesia. Lia Mutisari, Indonesia. Chris Rider, US. Gunter Bugl, Germany. Kapil Kalra, India. David Kharatishvili, Georgia. Mak Yuree, Bangladesh. NORMAL CERTIFICATES STILL AVAILABLE. FOR NORMAL CERTIFICATES CONTACT NICK THROUGH OUR CONTACT FORM TO ORDER. World Records - RHR’s Mission StatementThe mission of RHR is to standardize, authenticate, register, and organize official world records with respect to time, distance, and amount. Authenticated records appear in our on-line. 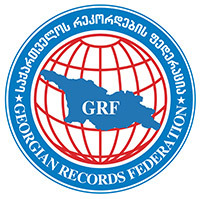 An attractive Official World Record Certificate is available to all record holders. CLICK LINK BELOW AND LOGO FOR WEB SITES. RHR unites with other local and world record organizations to bring unity and consistency in world record adjudication and reporting.